The match spectators could download to their mobile phones different contents of the National Team offered by the team sponsors. The FuturLink technology provided free mobile downloads to the spectators of the farewell match of the Argentina National Soccer Team on Monday 24th May before their debut on the FIFA World Cup South-Africa 2010. The contents were supplied by the official sponsors of the Argentinean team, Adidas and Swiss Medical Group, in a campaign in collaboration with World Eleven: three wallpapers by Adidas from their global campaign and an emotive video by Swiss Medical Group with the participation of Diego Armando Maradona, National Soccer Team Technical Director. The match was celebrated at the River Plate Stadium in Buenos Aires and represented an event of the greatest magnitude and impact with a sports and entertainment show at the highest international level comparable to the NBA, the Formula 1, the Super Bowl or the Eurocup, transforming the National Team Day in a great party. Before the beginning of the match several music and sport performances were offered on the playing field. An exclusive event for VIPs was also organized at the brand new River Plate Museum. With a fully packed arena, the stadium screens showed a call-to-action to activate the Bluetooth and to download content for free. 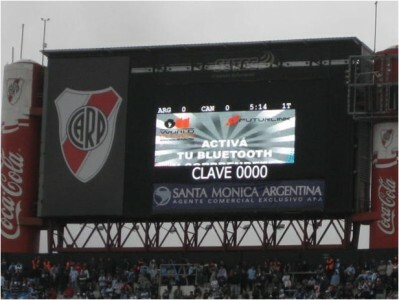 Several Bluetooth download areas were created covering around 25000 spectators at the Belgrano and San Martin stands and at the Museum and VIP area. The FuturLink technology was deployed at strategic locations in the stadium (FuturLink AP400 and FuturLink AP300x). The audience showed great interest on this innovative action and provided an excellent response: the results evidence an outstanding amount of 10000 downloads, representing a very high redemption rate. Furthermore, the sponsors brand awareness was increased, sharing an engaging experience with the spectators and provoking Word-of-mouth and virality of the mobile contents. “The tremendous results obtained predict a rapid growth of FuturLink Argentina strategy to establish Bluetooth download locations at different public spaces domestic and international”, according to Debora Bermudez, CEO FuturLink Argentina. Screen Events Ltd today announced updates to the education programme and confirmed speakers for Screen Media Expo Europe, taking place at London’s Earls Court, 5-6 May 2010. Devised in partnership with the Imperative Group, the two-day free learning programme is in full swing with a stellar line-up of industry experts confirmed and only a few slots left to fill. Associated forums with Media Week, The Screen Forum and Strategy Institute are also taking shape as key topics and featured speakers are unveiled. Additional workshops on Digital Signage in Banking and Building Next Generation Retail Media Networks have also been added to the show floor. Register now for these events at www.screenevents.co.uk. 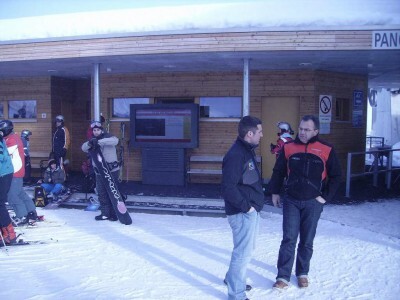 Title: What can digital signage networks do to grab a greater share of marketing budgets? Running on Day 2 alongside Screen Media Expo, Media Week’s DOOH Media Summit will adopt an international perspective on digital’s new frontier. Graham Thomas, former deputy chairman of Saatchi & Saatchi UK and Europe, will introduce the summit as chairman and case studies will be presented by Five, Virgin Trains and The North Face. Other presenting companies include Camelot, Digicom, OVAB Europe, JC Decaux Airport and Amscreen. Mediaweek.co.uk’s DOOH blogger will chair a panel session on DOOH opportunities and threats with panellists from Posterscope, Clear Channel, The Sunday Times, OAA and Glue. The Digital Signage Strategies Forum, produced by Strategy Institute, will also be held alongside Screen Media Expo on 4 and 5 May at Earls Court. The event will deliver eight case studies from UK, Switzerland, USA, Norway and Spain including the following speakers: Adam Lloyd of Ericsson Ltd, Bastien Schupp of Infiniti Europe, Fiona Alexander of University Hospital Birmingham NHS Trust and Kris Collins of University of Bedfordshire. To download the brochure, visit http://www.strategyinstitute.com/050410_dsforum/dsp.php. The Screen Forum will be launching its ‘Green Screen’ programme at a special breakfast briefing held on Day 1 during Screen Media Expo. The event will feature speakers from leading companies in the sector that are championing advances across the digital signage sector to improve the industry’s green credentials. A set of sustainable guidelines – covering technology choices, measuring the media and the green alternative – will be agreed by the working group and published post event. These will allow the industry to seek best practice in providing the greatest media effectiveness for the least environmental impact. Steven Platt of the Platt Retail Institute will be running a paid for workshop on the use and application of Digital Signage in Banking on the afternoon of Day 1. Specific details will follow shortly. Furthermore, a new paid for workshop will be held on the morning of Day 2 entitled “Building the Next Generation Digital Signage Network for Retail”. Michael Hiatt and Bill McMullen will explain to delegates the most important attributes of a next generation retail media network and how they are being used at Walmart and other major retailers. For further information about Screen Media Expo, DOOH Expo and associated conferences, summits and workshops, please contact info@screenevents.co.uk. Screen Media Expo Europe returns for its fifth anniversary year with new dates, a new venue, an exclusive Digital out-of-Home (DOOH) show-within-a-show, and the most thought and discussion-provoking education programme devised yet. Taking place 5-6 May 2010 at London’s Earls Court, Screen Media Expo will be the focal point in the European and International digital signage and DOOH media calendar. BroadSign and Samsung are this year’s Screen Media Expo title sponsors with Intel and Scala as silver sponsors. For the first time, Screen Media Expo will host DOOH Expo to provide advertisers, marketers and media owners with a tech-free networking marketplace. The dedicated show, sponsored by Grand Visual, will be the place to make connections with key players and see best practice examples of this effective advertising medium. Information on both events and online registration is available via www.screenevents.co.uk/screenexpo2010 and www.screenevents.co.uk/DOOH-EXPO. On 6 May, within DOOH Expo, the 2nd Annual European DOOH Media Summit will take place in association with Media Week. This year, the emphasis will be on international DOOH perspectives featuring lively case studies and presentations from leading brands, agencies, contractors and suppliers. Themes include: DOOH’s impact on integration of media, DOOH in 2009 and 2010 predictions, Buying DOOH, Promoting DOOH’s new frontiers and Creativity and DOOH. In addition to the above, there will be adjoining show floor theatres, workshops and presentation suites where speakers will present targeted content on a range of themes and issues that are strategic to the industry and its continued growth. Further information will be released soon. Canditv will also be part of the Screen Media Expo and DOOH Expo mix using their innovative mobile to screen technology to bring added value to show attendees and conference delegates, as well as to attract key brands, sponsors and stakeholders to the show. To request more information or to express interest in speaking at one of the above programme channels, please contact info@screenevents.co.uk. Wikoohpedia – Pooh Or DOOH? If it looks like it, feels like it and smells like it, then it probably is… well Wikoohpedia looks like it, feels like it, but somehow doesn’t quite smell like the real thing…. just yet anyway! The name ‘Wikoohpedia‘ is a portmanteau (a combination of portions of three words and their meanings) of the words wiki (a type of collaborative Web site), ooh (out of home of course) and encyclopedia. The site says “Wikoohpedia is written collaboratively by volunteers from all around the world. Anyone with internet access can make changes to Wikoohpedia articles.” but I counted only 9 signed up contributors, with a clear leaning towards Spanish AND nothing about Digital Out of Home…so if anyone wants to change that, off you go – enjoy! 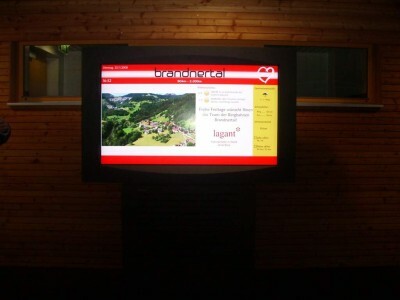 In the Czech Republic there is great interest in mobile rental screens. Last year ´s football championship Euro 2008 inspired great demand for these devices and nearly every regional capital boasted of the large-scale projecting screen. Euro did not end too well for the Czech national representation but the demand for LED screens has not ceased since as for example music festivals, which are more and more numerous, increasingly sue them too. The demand is further supported by a number of summer promo events and other events. How about the available technology? In the Czech Republic there are several active companies owning the mobile screens. 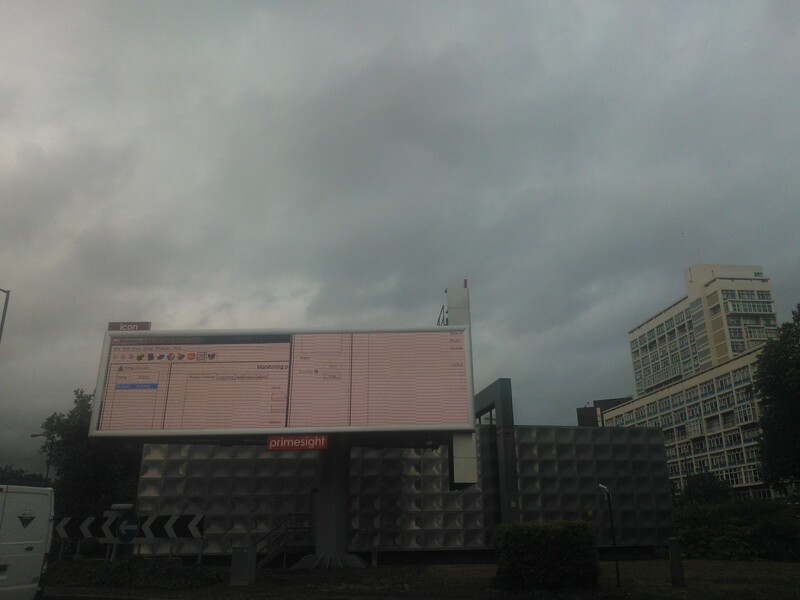 There are two types of the screens available. Mobile screens on the chassis and modular mobile screens on a construction. 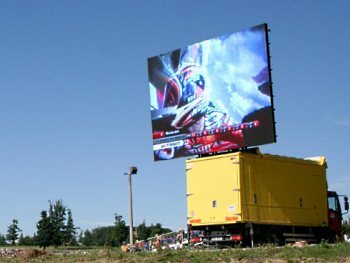 There are screens on passenger car trailers and truck trailers or semi-trailers. A clear advantage of this solution is the short time delay between the arrival of the vehicle train and launch of operation of the device. The trucks in addition usually have the director ´s office fixed to the trailer, which contributes to simplicity of the screen operation. The picture format is typically 4:3 or 16:9 (panoramic), which represents an advantage for standard video production. their advantages include the modularity, which means that by putting together the basic blocks of the kit you can create even non-standard shapes and sizes. You need not confine yourselves to a rectangle, for the L-shape of the screen or the screen gates complete the unique light show. The screen also usually does no occupy so much space as the truck-mounted screen. The main disadvantages of modular screens include the time-consuming assembly and dismantling and the operation costs. Nearly two thirds of the rental screens have been made in the Czech Republic. At present, in addition to sports events, they are often used for political meetings, or in the summer season for cultural events and music festivals. 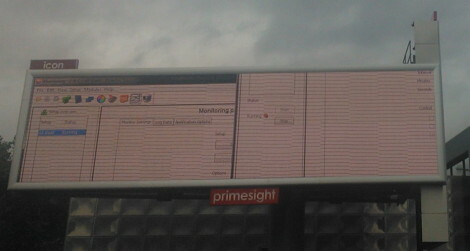 In winter they are often seen on the sports grounds as advertising screens. 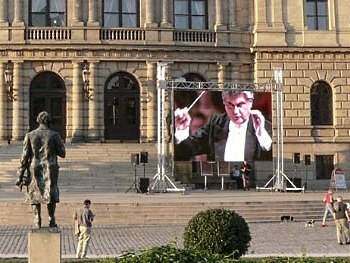 the largest modular mobile screen in the Czech Republic has been the Imagine with the width of 15 mm and the size of 7.68 x 5.76 m and the area exceeding 44 m2. The greatest number of mobile screens is installed every year on the occasion of the Grand Prix at the Brno race track. When I buy a coffee from a drinks machine I get the feeling that it takes an eternity till I feel the cup of hot coffee in my hand. I shall spare you a description of how I feel when the vending machine accepts my money but leaves me empty handed or when instead of coffee I get a cup full of turbid swill. Although these are possibly specialties in the Czech Republic. Nonetheless, I was delighted when the company Dallmayer Kaffee made 200 coffee machines available with a waterproof 19” digital display last spring. These electronic machines are linked with a control computer and communicate with a control room through a Wi-Fi Internet connection. Watching the screen whilst waiting for your coffee makes the wait far more pleasant even if you are only watching adverts as some of them are quite funny. The machines can be found in locations which have been selected based on the number of drinks sold there. I myself have bought one of these digital coffees at a fuel station and one in a shopping center. Further machines can be found in certain hospitals, governmental authorities, office buildings and other frequented places. Apart from the fact that the screens provide waiting customers with amusement, they also give the advertiser accurate information on the recipient of the advert which can be deduced from the number of drinks served. By installing these advertising screens the operator has gained control over the amount of coffee mixture, sugar and water in the machines. It would also be a good idea to introduce “tailor-made adverts” based on the type of coffee bought and thus the target group or it would also be possible to install touch screens offering entrainment and maybe discount coupons, in addition to their commercial uses. They could also be connected to your mobile to be used even more effectively. This is possibly the future in the Czech Republic and hopefully we won’t have to wait too long for it! By the end of the year there will be 800 of these coffee machines in the Czech Republic entertaining you whilst you wait for your coffee.